As promised I have a lot to talk about this month and I’m still excited about next month’s culture corner knowing what’s coming! This past month has been a busy month culturally speaking from an awesome winery tour and tasting to another theater production and a book talk to a sing-a-long movie I did so much. So onward! 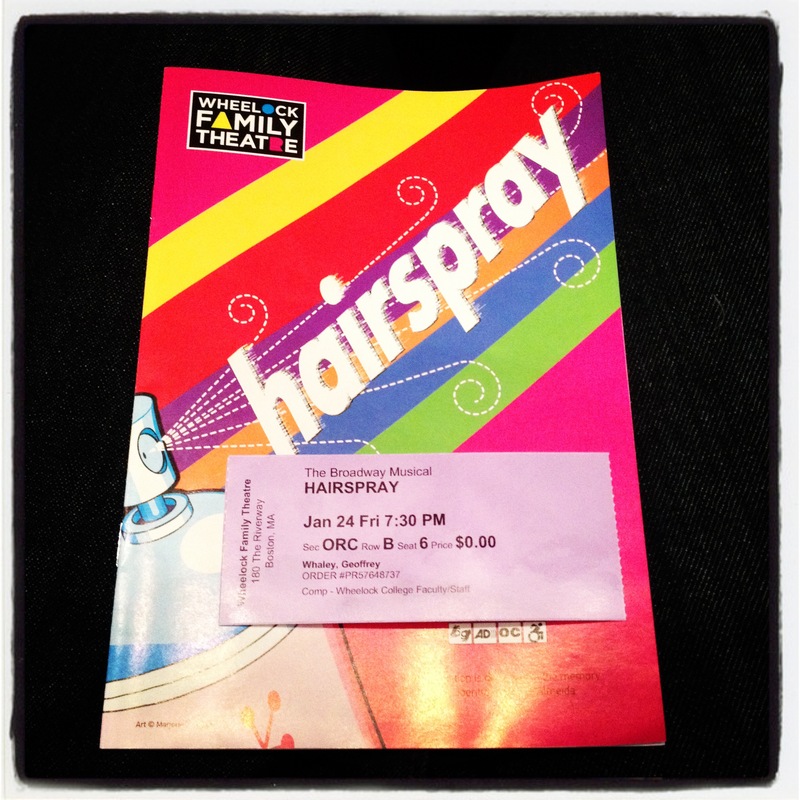 To start the month off (not really), but culturally speaking, I went to the Wheelock Family Theatre production of Hairspray and it was fantastic! I usually go opening night as I work for the school and get free/discounted tickets. From the opening number to the closing the entire show kept the audience (me) completely engaged. Even though I felt that Jenna Lea Scott did a great job as Tracy Turnblad, I felt that Jennifer Beth Glick, as Penny Pingleton upstaged her and everyone else in the production. From the way she chewed her gum to the interactions with Seaweed I couldn’t take my eyes off her, she is one of those actors that acts the entire time they’re on stage even when they’re in the background (similar to Celie from The Color Purple in last month’s Culture Corner). A really long book domino chain from the Seattle Public Library.